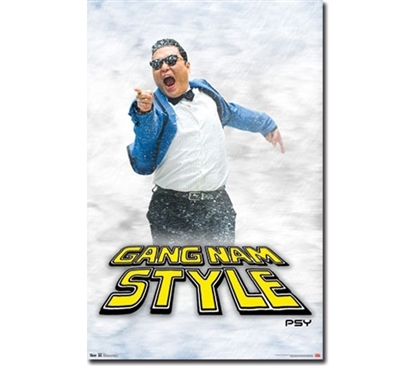 This Psy Point Poster might just inspire you to turn up his hit song and start dancing! If it does, that's a pretty cool feature for a cheap college poster. Dorm posters are necessary college supplies; they're what brings some fun and coolness to your college decor. Music posters are upbeat college decorations, so they're the perfect dorm item for giving your college dorm a fun and cool vibe. Stock up on posters for college. Don't just buy one!